There are a few main reasons the MP Rotator qualifies as an efficient water saver in multiple states throughout the United States. The obvious reason is the method used to apply water. Consistent multi-trajectory streams cut through harsh wind conditions helping eliminate water waste. Another reason is the MP's application rate, the MP Rotator applies water at a 1/3 of the rate of a typical spray nozzle. By lowering the application rate and more closely matching typical soil intake rates, more of the water will be used for irrigation rather than waste. 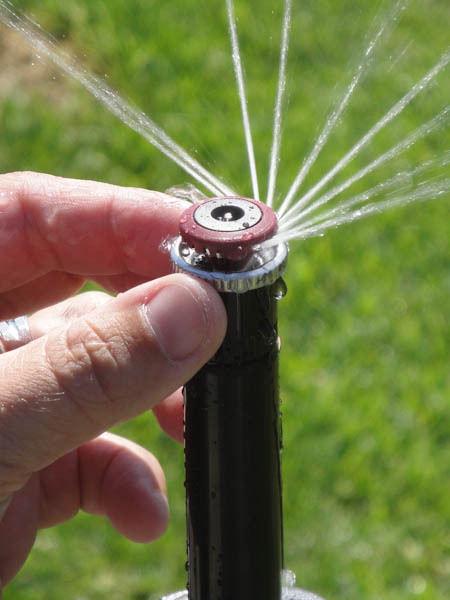 MP Rotator's also significantly increase uniformity, delivering water with greater accuracy than normal spray nozzles. An increase in uniformity means less water needs to be applied to create healthy landscapes. Previous ArticleWhat are the filter sizes for the MP Rotator?